The buried treasure among us: What are truffles? 28 JanThe buried treasure among us: What are truffles? We’re wild about truffles: the earthy fungi, not the chocolate confections (although those are delicious, too). When you think of edible fungus, mushrooms come to mind. But it’s time to step up your tuber game. True truffles are a rare culinary delight and a decadent experience for your tastebuds, often referred to as “a diamond of the kitchen.” Here’s a quick rundown of the magical ingredient. Think of this as your Truffles 101 guide. The small tuber grows underground, on the root systems of trees, around the world. There are more than seven different truffle species found all over the world, from the Pacific Northwest to France to Australia and the Middle East. Generally speaking, culinary truffles can be placed in two categories: black and white truffles. They’re very different from each other, but they’re both subterranean fungi that grow in the wild or on the roots of trees inoculated with truffle spores. Truffles are firmly placed in the savory and “umami” categories and, when paired well, add to full-flavored, gourmet dishes. Truffles pack a lot of flavor and don’t need much salt for an enjoyable experience for your tastebuds. What’s special about Oregon truffles? One of the world’s rarest cooking ingredients, truffles grow in spades in Oregon, and for the past 14 years, the Oregon Truffle Festival has connected culinarians with the aromatic tubers. 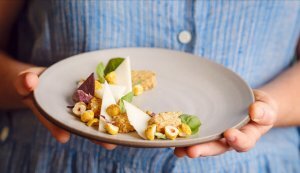 In Oregon, four species of native truffles are found: the Oregon black truffle, the Oregon spring white, Oregon winter white truffle, and the more elusive Oregon brown truffle. 2019 Joriad champion Joey and her trainer Ava Chapman. Photo by Marielle Dezurick. Oregon truffles are harvested from January to March by specifically-trained dogs that sniff out the natural aroma of truffles. 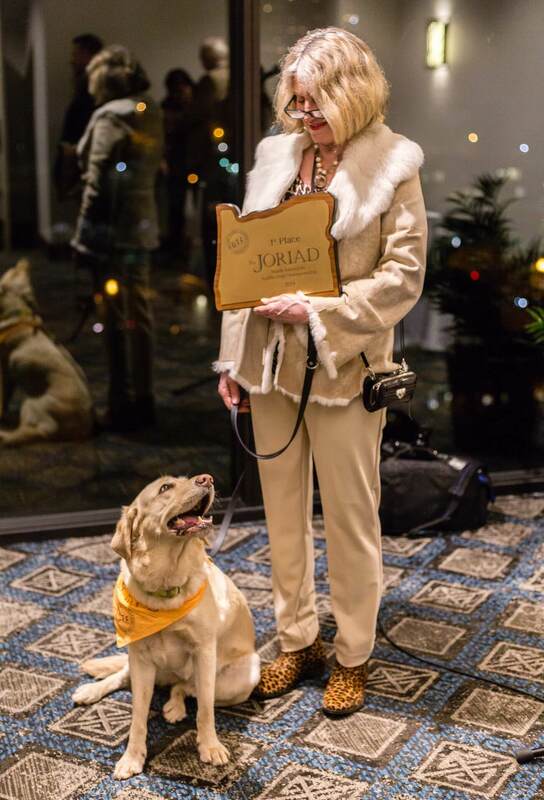 Every year, the Oregon Truffle Festival celebrates the truffle hunt with The Joriad, a world-renowned truffle dog competition. 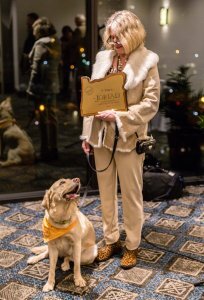 While The Joriad celebrates the best-trained dogs, even amateur truffle hunting has been on the rise. Truffle hunting hobbyists scour the Willamette and Yamhill Valleys every year in search of the elusive fungi. This is due in no small part to their value, selling for up to $200/pound. How do you cook with truffles? Truffles can’t be frozen and have a short shelf life, about 10 days. So it’s best to preserve or devour this heavenly morsel as soon as possible. Harvested fresh truffles are often best grated or thinly sliced over a warm dish to effuse their delectable flavor. To allow their aroma and flavor to truly stand out, pair truffles with everyday ingredients like pasta, polenta, butter, eggs and cheese. Interested in learning more? 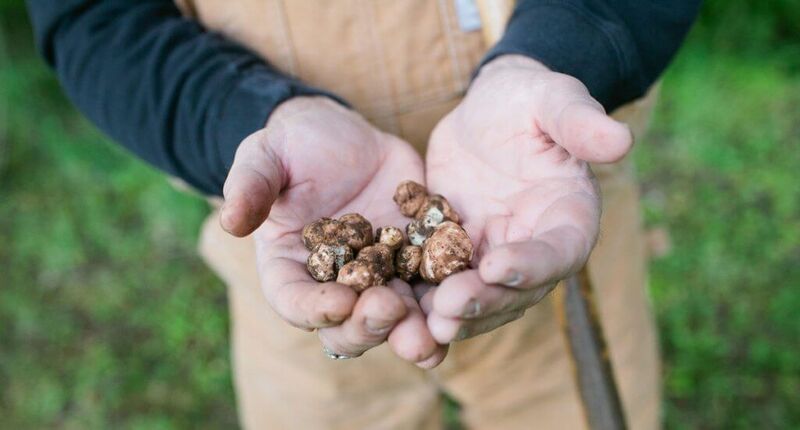 Join us in the Yamhill Valley, February 15-17 2019, for a weekend full of truffle hunting, truffle cooking classes, wine classes, and many knowledgeable speakers.